The Norton Simon Museum comprises a vast collection of European painting and sculpture alongside extensive holdings of Asian art. 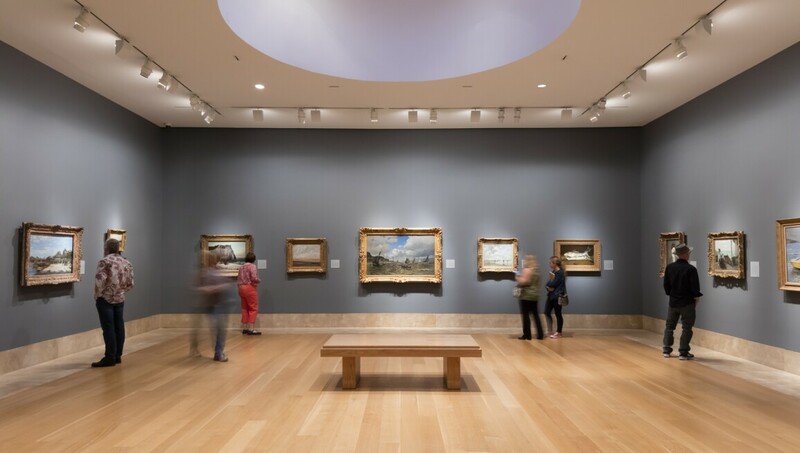 The museum was previously known as the Pasadena Art Museum before it was acquired in the 1970s by entrepreneur Norton Simon, who was looking for a home for his collection of over 4,000 objects and works of art. In the 1990s the museum’s interiors were redesigned by Frank Gehry while its gardens were landscaped by Nancy Goslee Power. Museum highlights include a selection of Japanese woodblock prints from the collection of Frank Lloyd Wright and tranquil sculpture gardens featuring work by Henry Moore and sculpture from the Indian subcontinent.